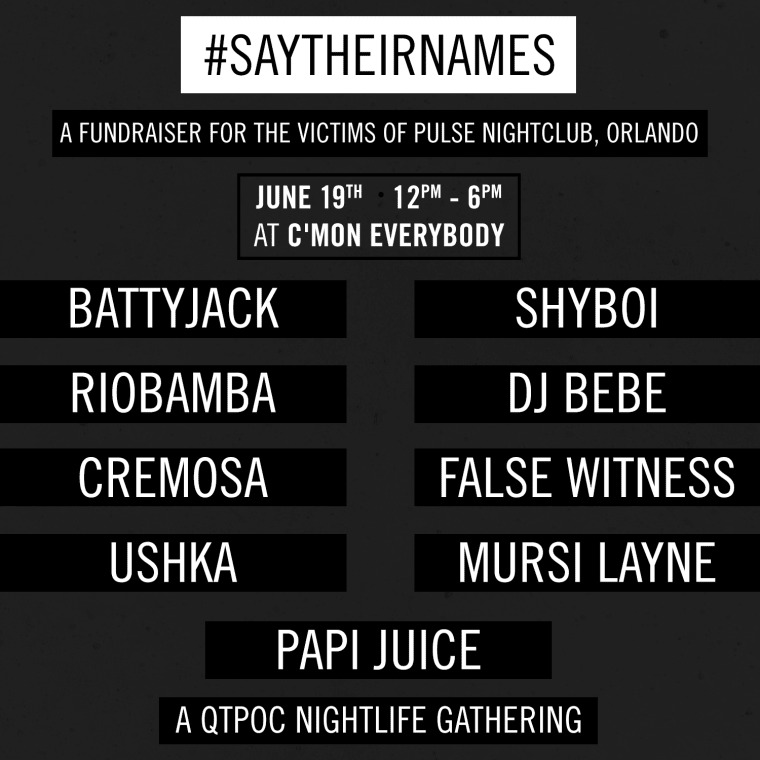 This Sunday, a group of New York City's QTPOC artists will come together to throw a fundraiser for the families of the victims of the Pulse night club massacre in Orlando. The event will run from noon till 8 p.m. at C'mon Everybody in Brooklyn, and will feature DJ sets from FADER Mix alum Riobamba, Shyboi, False Witness, Battyjack, DJ Bebe, Cremosa, Ushka, Mursi Layne, and Papi Juice. "We invite you to come share space, laugh, cry, and dance your heart out to honor those at Pulse," reads a statement on the fundraiser's Facebook page. "We will be reading out the names of the 49 that were lost to senseless violence. Please join us at C'mon Everybody this Sunday 6/19 to celebrate queer spaces, the joy of the dancefloor, and nightlife as sanctuary for so many of us." 100% of the door proceeds will go the victims' families, and the venue will also donate 10% of the bar takings. More details here.